Have Young JV and Miho Nishida gone on their separate ways? Young JV made a cryptic post on his Instagram Stories on Tuesday, amid the rumored break up. 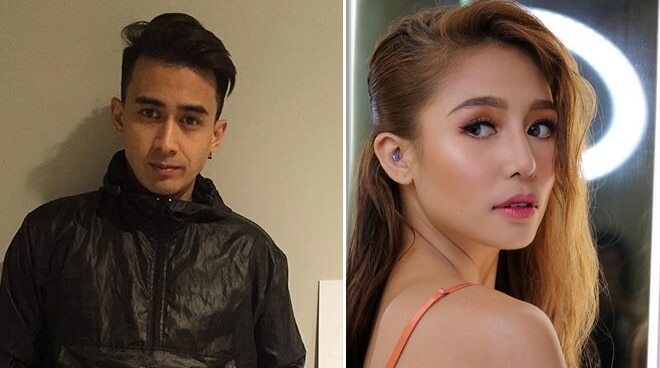 Fans of Pinoy Big Brother 737 Big Winner Miho Nishida have been abuzz over rumors that she and rumored boyfriend Young JV have already broken up. JV made a cryptic post on Tuesday on his Instagram Stories amid rumors of the said separation. 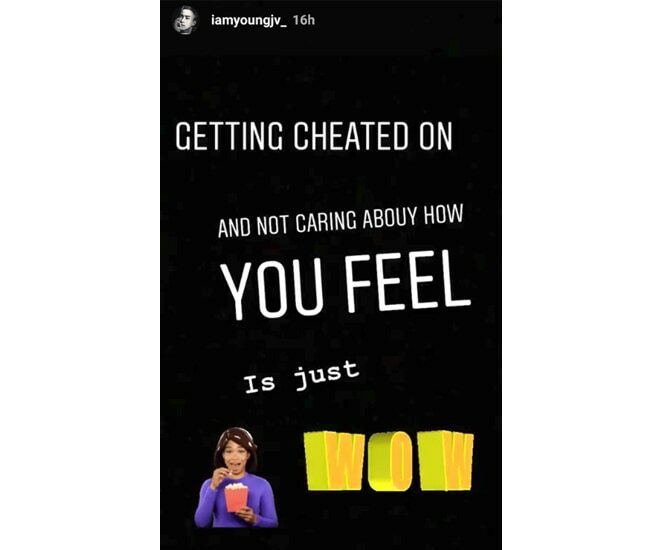 The singer wrote, "Getting cheated on and not caring [about] how you feel is just wow." The singer also posted a quote on his Instagram Stories about letting go. It read, "If they want to leave, let them. If they push you go away, go. 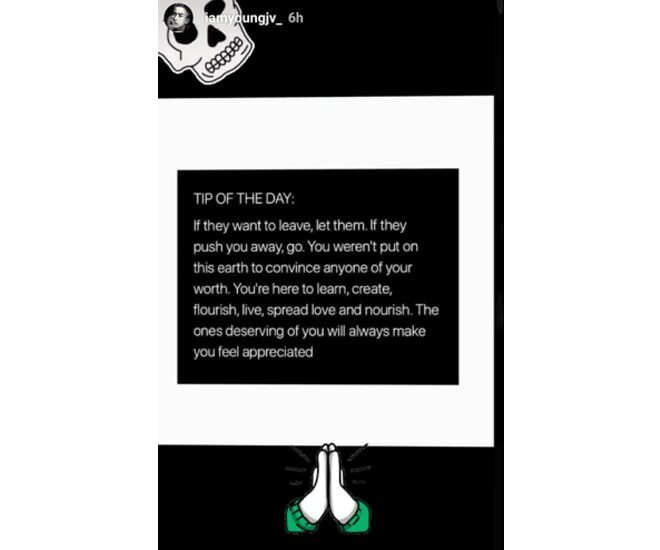 You weren't put on this earth to convince anyone of your worth." Also a message allegedly sent to a fan by JV's mother Elsa Capunan,confirmed that the two are no longer a couple. A screenshot of the message said Miho broke up with her son via text. "Ako po ang mother ni JV. 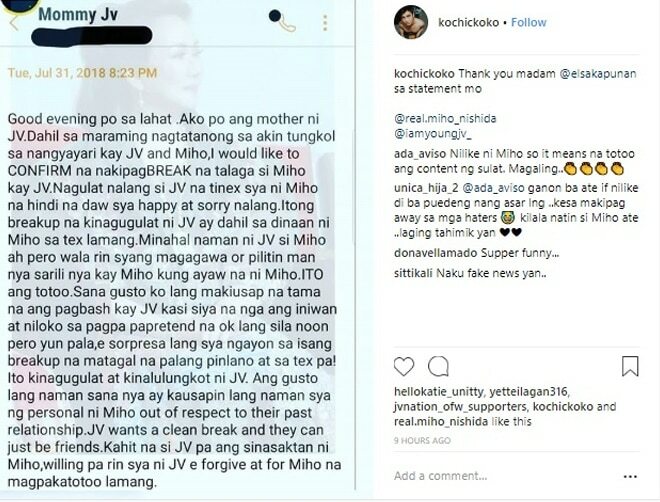 Dahil sa maraming nagtatanong sa akin tungkol sa nangyayari kay JV and Miho, I would like to confirm na nakipagbreak na talaga si Miho kay JV. Nagulat na lang si JV na tinex siya ni Miho na hindi na daw sya happy at sorry na lang. Itong breakup na kinagugulat ni JV dahil sa dinaan ni Miho sa tex lamang." JV and Miho began dating shortly after the latter's breakup with fellow PBB housemate Tommy Esguerra in 2017. Last May, JV admitted he and Miho are officially together.